All original paintings ship free one way to the USA and Canada.A contemporary mixed-media original using one of the trendiest colors indigo with a southwestern flavor. Layered paint and unique archival materials were used to design these one of a kind textures. 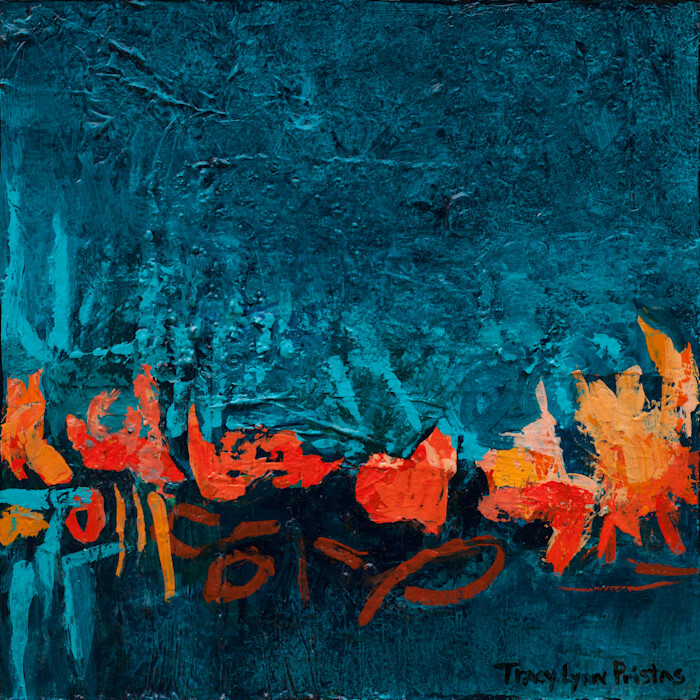 A contemporary mixed-media original using one of the trendiest colors indigo with a southwestern flavor. Layered paint and unique archival materials were used to design these one of a kind textures.This unusual work of art is truly a meditation since the painting is infused with Reiki healing energies by the artist. This artwork is an easy choice for a whole host of interior design schemes. Purchase all three originals for versatile design options. A contemporary print using one of the trendiest colors indigo with a southwestern flavor. Layered paint and unique archival materials were used to design these rich textures. Choose you size and frame to make it your own. This unusual work of art is truly a meditation since the painting is infused with Reiki healing energies by the artist. This artwork is an easy choice for a whole host of interior design schemes. Purchase all three for versatile design options choose your size and frame it your way.